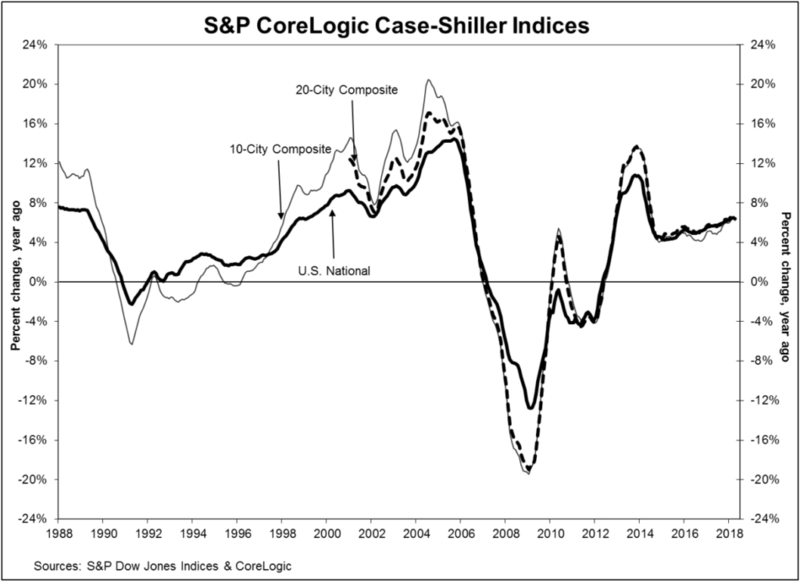 Home prices surged for the 72nd straight month, according to the latest S&P CoreLogic Case-Shiller National Home Price NSA Index, announced Tuesday. 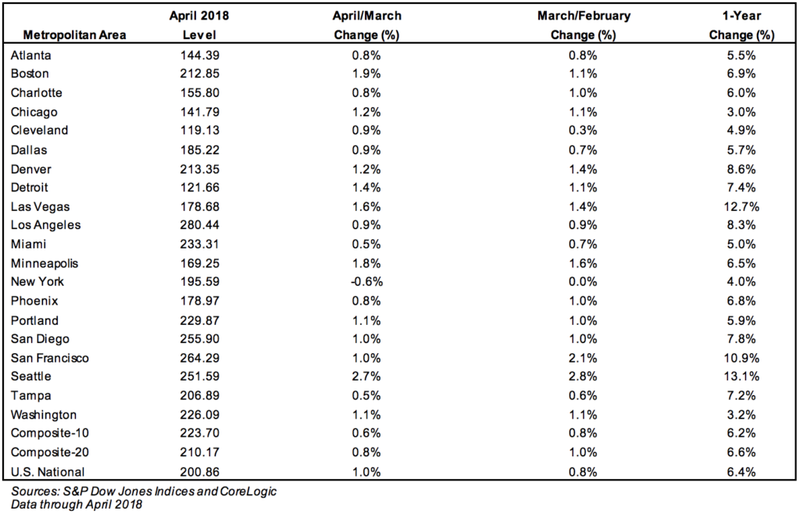 In the nine markets the index tracks, home prices in April rose an average of 6.4 percent, year-over-year, down slightly from last month’s 6.5 percent year-over-year gain. Seattle, Las Vegas and San Francisco have continued to be the hottest markets, according to the Case-Shiller analysis. Low inventory levels are expected to continue driving up prices in the coming months, according to Keller Williams Ruben Gonzalez, Keller Williams’ chief economist. The slight drop in year-over-year price growth hasn’t paced properly with slower income growth, according to Danielle Hale, the chief economist at realtor.com. Prices are still rising strongly in lower price brackets, but starting to level off for pricier homes according to Lawrence Yun, the chief economist of the National Association of Realtors. Seattle, Las Vegas and San Francisco have continued to be the hottest markets, as has been the case in past months. Seattle had the strongest gains with a 13.1 percent year-over-year increase, followed by Las Vegas at 12.7 percent and San Francisco at 10.9 percent. Adjusting for inflation changes the picture significantly though, Blitzer explained.